Have you just arrived to Budapest and feeling a bit lost? Are you and expat living here and miss understanding the general hubbub around you? Are you Hungarian and wish to exercise your English skill? 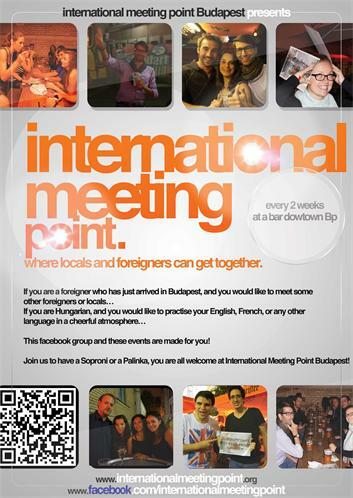 Then come to one of International Meeting Point’s regular events for drinks, laughs and an informal hangout with foreigners in Budapest. Click on the picture to learn more about the event! If you are an expat who just arrived in Budapest, and you would like to meet other foreigners or locals; or if you are Hungarian and you would like to exercise your English, French, or any other languages in a cheerful atmosphere: International Meeting Point Budapest may be your thing.